Our Dublin portable panel horse stall privacy partitions give horses their much-needed privacy after a long day of work; they just need some me time! 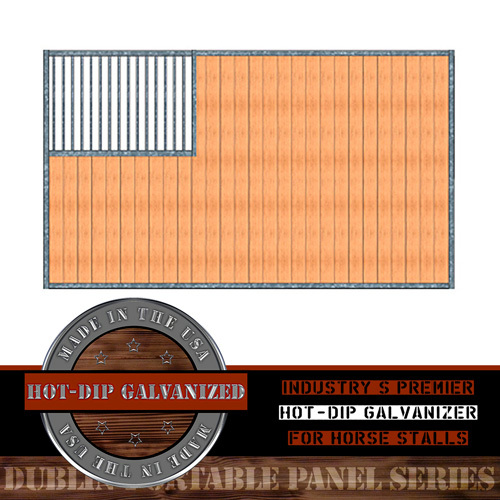 Hot-dip galvanized for maximum rust protection! Our Dublin portable panel horse stall privacy partitions give the horses their much-needed privacy after a long day of working – they just need some me time! These privacy partitions give them just that, but also allow fresh air to circulate through the stalls with the added grillwork. Constructed of hot-dip galvanized steel, this partition is sure to hold up for years to come! Our Dublin portable panel horse stalls are constructed of hot-dip galvanized steel (14-gauge frame), feature hidden interior welds, and offer the best type of rust protection available! RAMM is the industry's premier hot-dip galvanizer for horse stalls. Installation: This is a freestanding horse stall system; no support posts are required for this installation. Connect the stall panels with stall connectors, which are sold separately and can be found here. - I was looking into purchasing privacy partitions for my barn, Veronica emailed me pictures from a customer who has them in their barn for over 7 years. After seeing the partitions installed and looking great after years of being up, it convinced me and I ordered mine, can't wait till they get here. Thank you Ramm! Floor to Top of Header: Top of Front = 84", Top of Front with Track Piece = 85⅜"
Floor to Bottom of Bars: 48⅝"
*Note: Must be installed with wood or metal support posts. 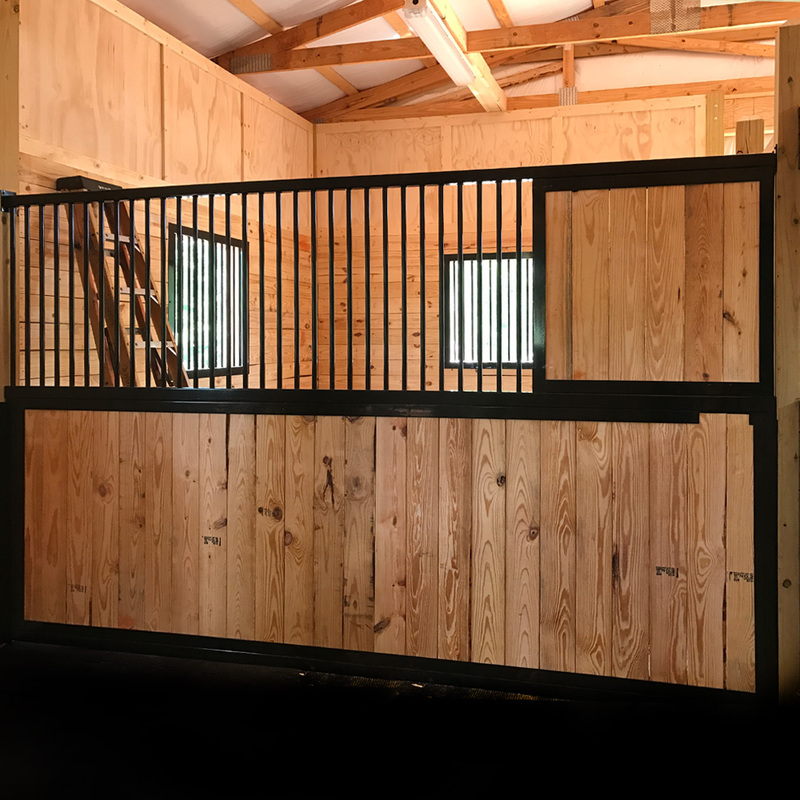 Wood lumber is not included; we recommend tongue and groove wood for all of our horse stall systems.